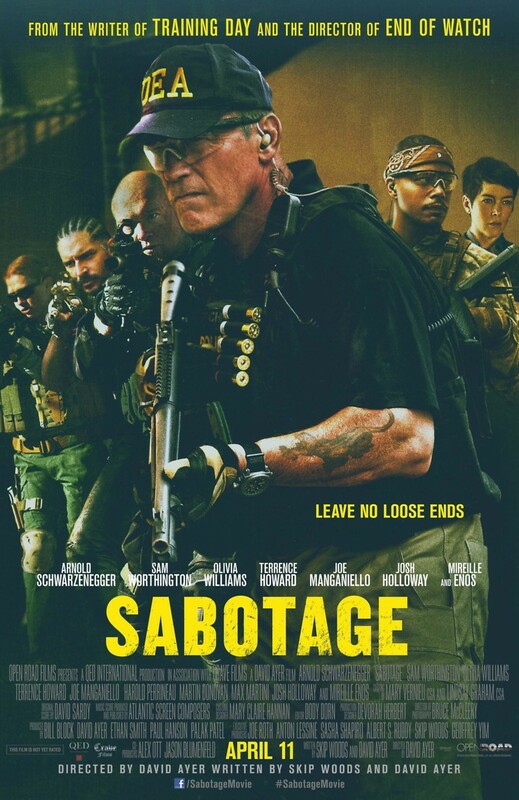 Sabotage DVD and Blu-ray release date was set for July 22, 2014. A highly-trained and elite branch of the DEA has built a task force that is dedicated to taking on the world’s most powerful and deadly drug cartels. After a targeted and successful raid on one of the cartel’s most protected safe houses, the task force believes they’re ahead of the game. One by one however, members of the DEA task force are being quietly eliminated. As more and more agents turn up dead, there is nobody left standing that isn't a suspect.